Coffee is commercially produced in over 120 countries located in the so-called “coffee belt”. (view National Geographic map). The USDA Foreign Agricultural Services provides the world’s most reliable forecasts of global and country-by-country annual coffee production. For the current year they are forecasting about 150 million bags will be produced (each weighing about 132 lbs). That works out to about 20 billion pounds, each and every year. 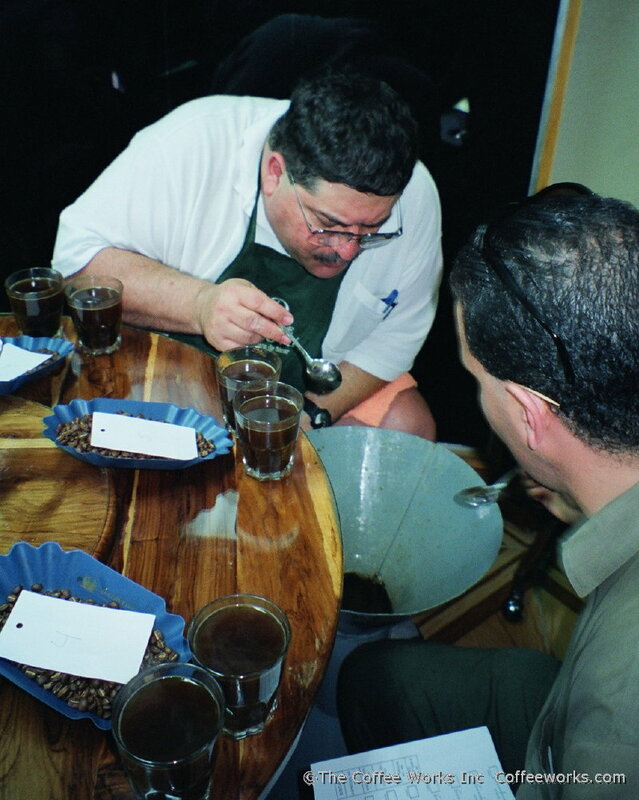 What are the Sources of Coffee Works Roasts? Coffee Works only sells coffees that we have specified, purchased, and roasted ourselves. Only the best green beans (raw coffee) we can find go into Coffee Works’ distinctive house roasts and blends. With more than 20 billion pounds of coffee produced every year (see sidebar), the problem isn’t finding coffee but rather being very selective about where and from whom our raw coffees come. Coffee Works sources and roasts certified organic exclusively. While certification alone is no guarantee of quality, it is our minimum qualification because it tells us something very important: That the grower understands and accepts the consumer’s need and right to safe and wholesome foods. Organic farmers show that by allowing their farming and processing operations to be inspected and audited by an independent body for healthy and safe production practices. Some of our most valuable business relationships are the network of green bean suppliers we have built over the years. We value in particular the relationship we have with farmer-owned cooperatives for the quality of the coffee beans they supply for our roasting. 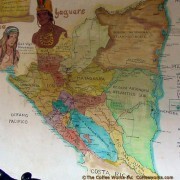 By buying from growers whose farms we have visited we know where and under what conditions our coffees were produced. By buying from farmer-owned cooperatives we know that a fair distribution of the economic rewards of the sale go to the farm families. This is important because we know the best coffees come from farmers who care about their customers and who know their customers care about them. Buying on a direct and fair basis may cost a little more, but we know that a great cup of coffee is one of the true joys of life, and remains one of its greatest bargains.